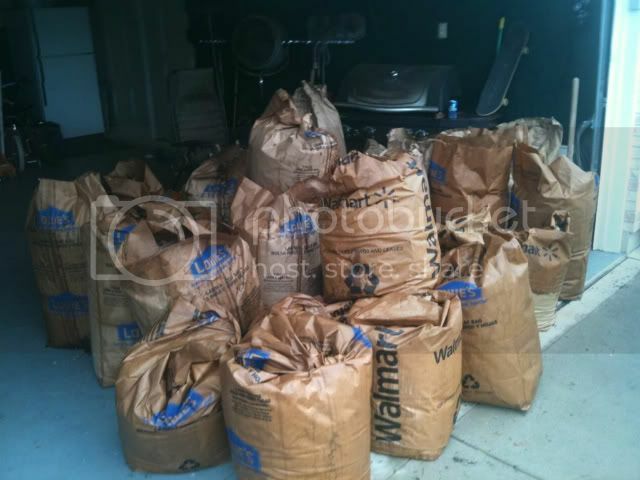 Well I had a rain day today and on the way home I picked up 3 truckloads of grass, leaves etc for the garden (well I did have to go back out to get the 3 loads but you know what I mean LOL). When making lasagna first you must gather all the ingredients. Than you must get your cooking device ready by greasing it with a gentle layer of compost. Next step is to add a layer of shredded paper. 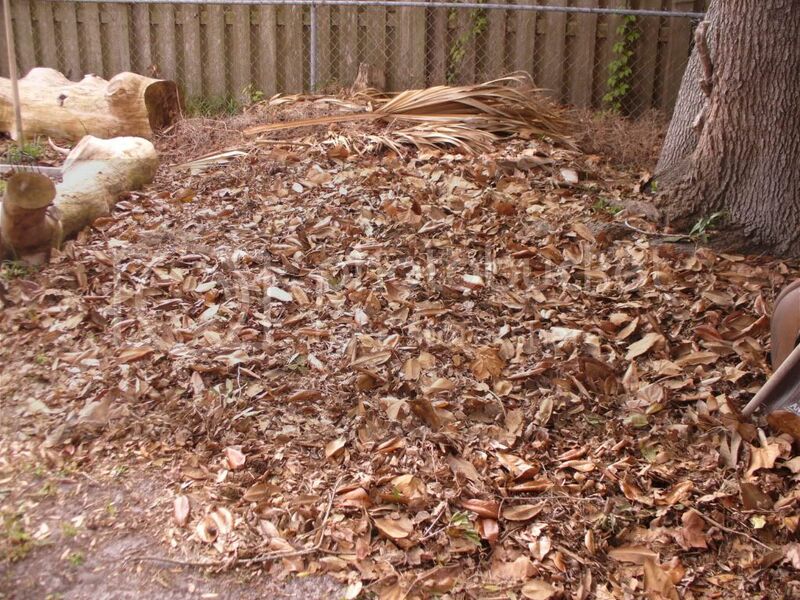 A generous layer of leaves is next on list. A helper to check for quality is always helpful. I have Lucy a fine chef, she seems pleased so far. Next as an added surprise a light layer of pine needles. Lucy is testing the brew. Finally a good layer of grass to top it off. Now let this simmer for a few weeks and mix it up or let it go and stay inside where it is warm. 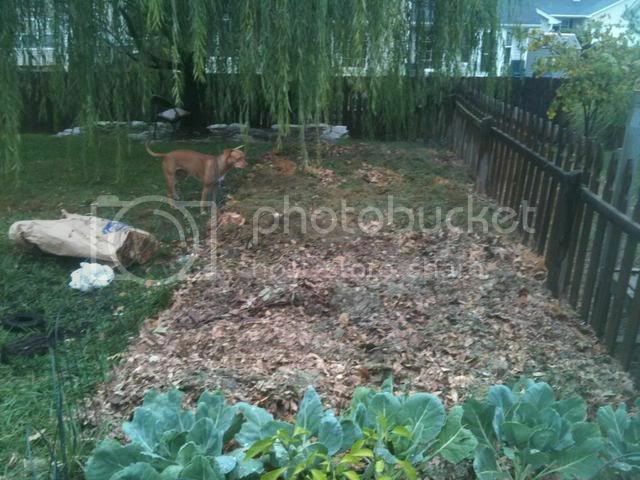 I will be adding a bit more compost and grass as it becomes available. Let this cook till spring and you are ready to serve. Yum ! Cute chef too ! Pretty nifty, Gix. I should try this! Gixx, you are as energetic as ever! ...so will you be putting tomatoes in the lasagna next spring? Maybe lots of garlic this fall? Did anyone happen to see the episode of dirty jobs where Mike went to the worm farms? 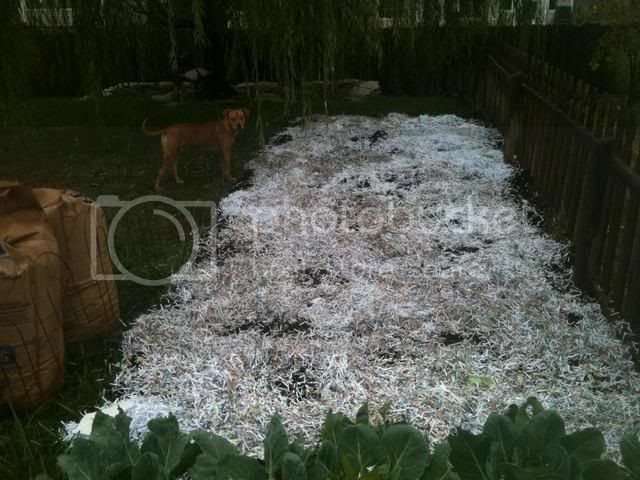 They just took a bunch of shredded paper and tilled it into the dirt to feed the worms, just like you're doing Gix And they were just farming the worms for the castings. It was a good episode if anyone gets the chance to go back and watch it. Looks like you're doing a good job Gix, keep it up! Last edited by GardenRN on Tue Dec 13, 2011 9:31 am, edited 1 time in total. That is Crazy, and The tree looks nice, also i would love to have all the ingredients well maybe easy to get as all are in ones homes. 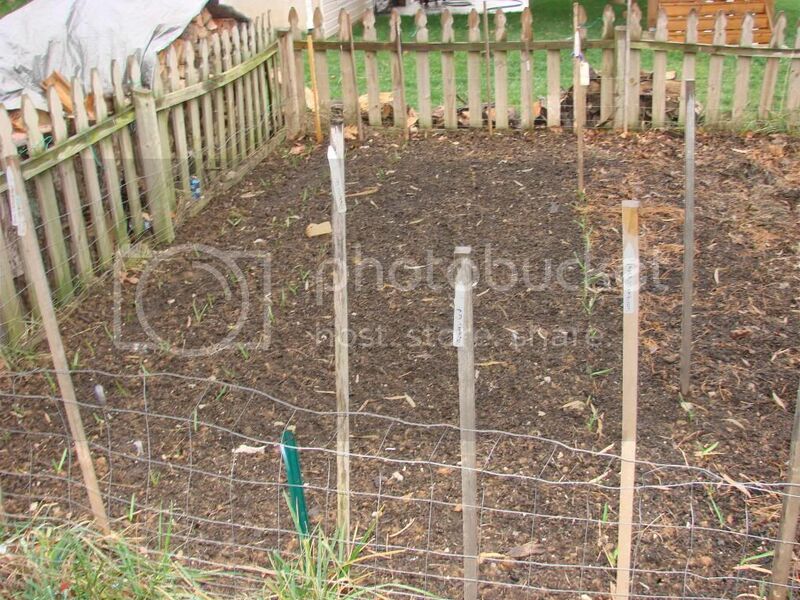 Apple: Yes that garlic is already in the other garden (same treatment), the tomatoes will be added later in the spring after simmering some more. 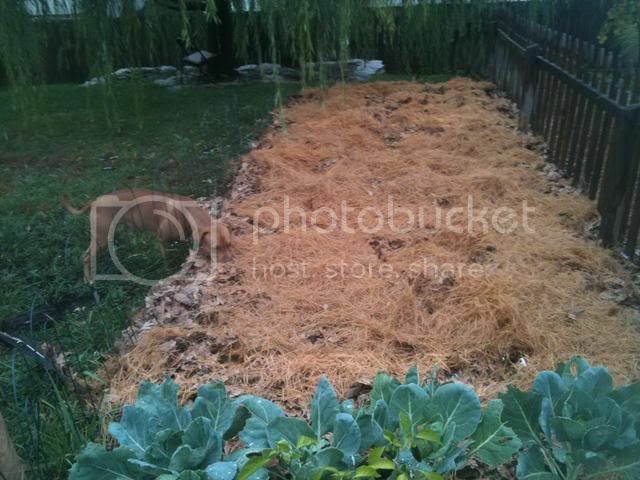 The beds look great I mixed it up a bit with a rake/fork. Gonna be real nice next year. Can't wait, i have been working these garden from nothing hard for about 4 years now. 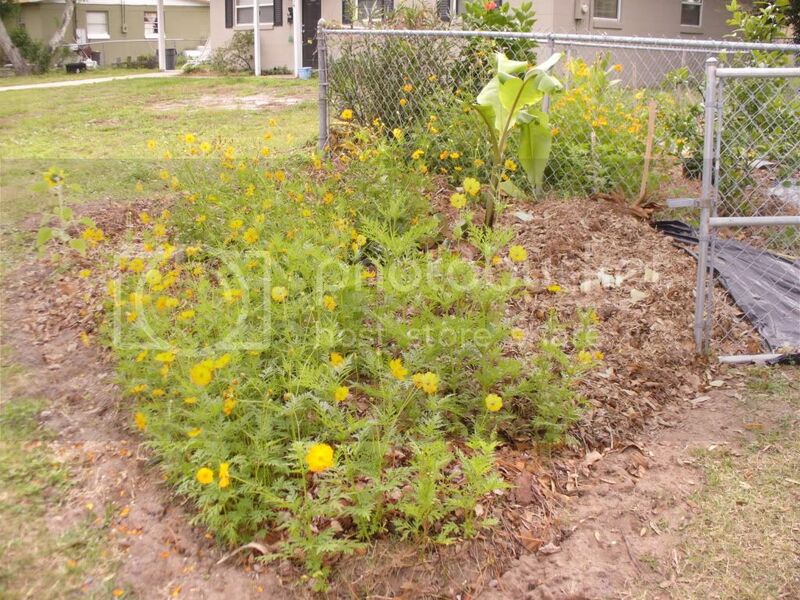 Your garden looks awesome I bet you will have a great garden you have put the effort in. looks great. gix, do you have worms there in your garden naturally? 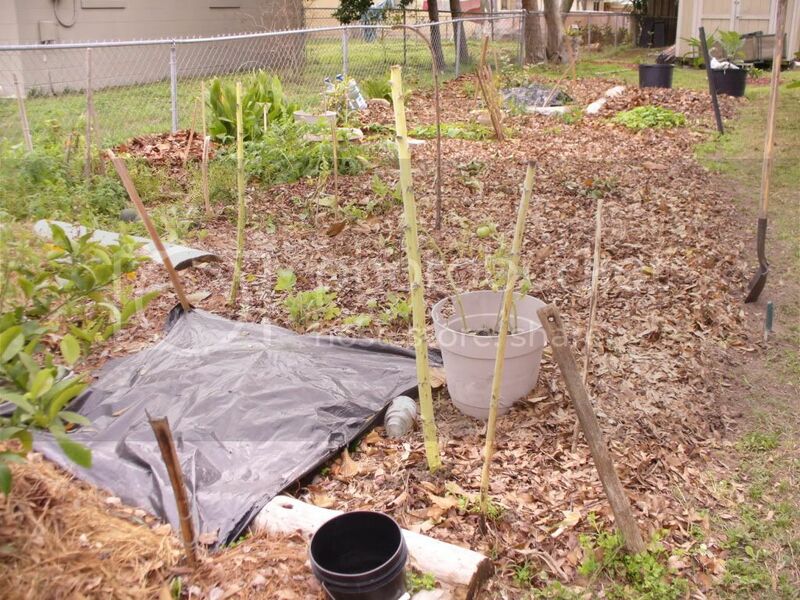 Seems worms would do very well with all that organic matter. Here we have some earth worms, and also night crawlers. The night crawlers were not always present in this area. Fishermen imported them and they did well once established. I could not believe my eyes the first time I saw a night crawler. They were huge compared to the worms I used to dig to take fishing. I have night crawlers on my lot now. Their castings make bumps in the lawn, but I am sure the castings are good for the plants. Worm grunting. I think maybe even Cynthia would get a kick out of this. jal_ut wrote: gix, do you have worms there in your garden naturally? 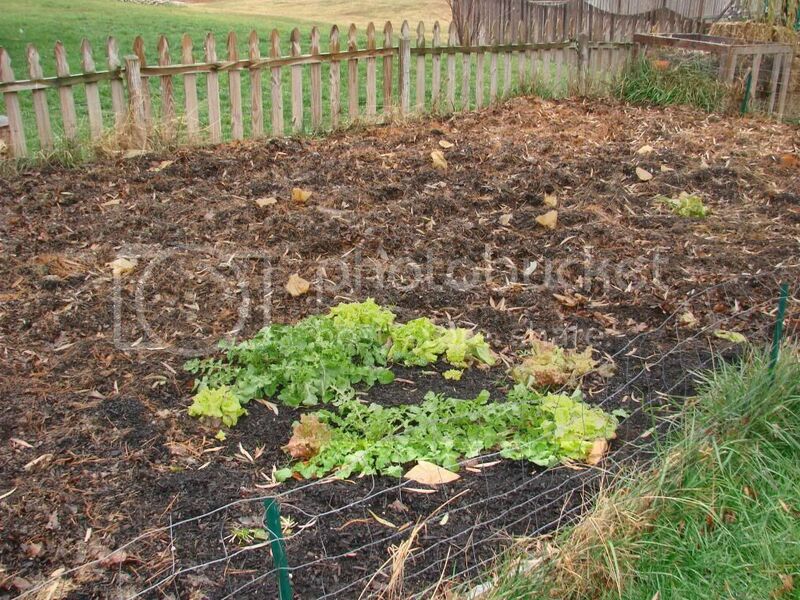 Seems worms would do very well with all that organic matter. Here we have some earth worms, and also night crawlers. The night crawlers were not always present in this area. Fishermen imported them and they did well once established. I could not believe my eyes the first time I saw a night crawler. They were huge compared to the worms I used to dig to take fishing. I have night crawlers on my lot now. Their castings make bumps in the lawn, but I am sure the castings are good for the plants. Worms? Yes. I could almost not believe the amount of worms in there. It is incredible, just pick a spot dig and you will find a bunch. I found a huge one last year might have been a night crawler this thing was as big as my pinky around and very long. I thought it was a little snake at first. 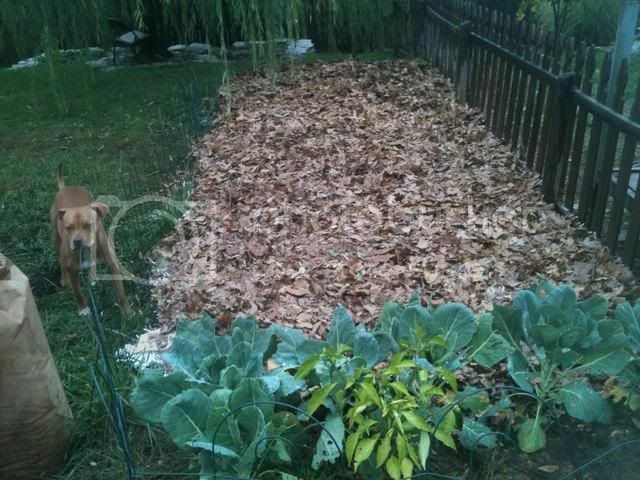 I've sinced removed the plastic bags and covered with leaves (ill-conceived plan ). The stalks are from sunflower plants I don't remove roots any longer and I leave them for the birds/lizards to perch on and if they get in the way I just cut them down leaving the roots in the ground for nutrients). Spot for my banana plant, I cut them all down when I harvested the bananas. But it's nice out so a few are already growing back. Somone on another froum wanted to see this pictorial so I dug through about 150 pages in 4 differant topic sections so after all that I couldn't help but bump this. 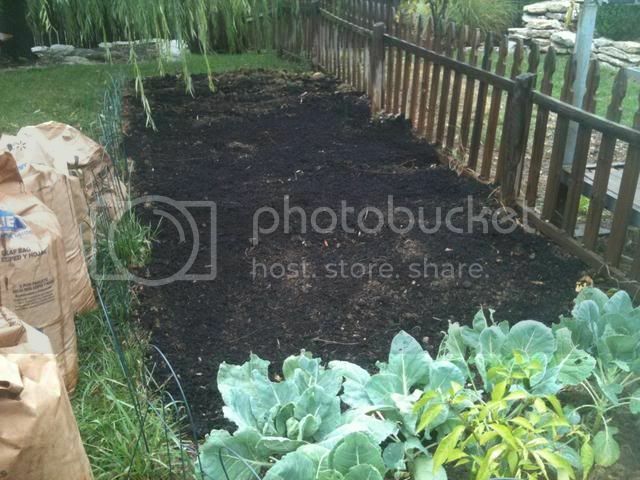 lasagna garden easier than tilling?